This is a great game creator for educators to create games for the ipad/iphone and android based devices. It’s free and only works on Macs at this point but PC might be coming soon. This software would be perfect for the classroom. For this lesson, I am having all students download and install the free version of WoW on their computers before class. I have divided the class up into teams and each group need to choose a Race in the game and then create a character based on that Race. When students arrive in class, we are going to have a brief discussion on MMORPGs and their use in education, we will let them know that even when they struggle they can find a solution, now they can Hire someone to do you online course. Then we are going to play WoW. My goal is to get each team to work together and level their new character a few levels together. Game play will last around 1 hour. After, I will have the class watch my computer and I will show them many of the other things they can do in WoW as their new characters are really unable to do very much. 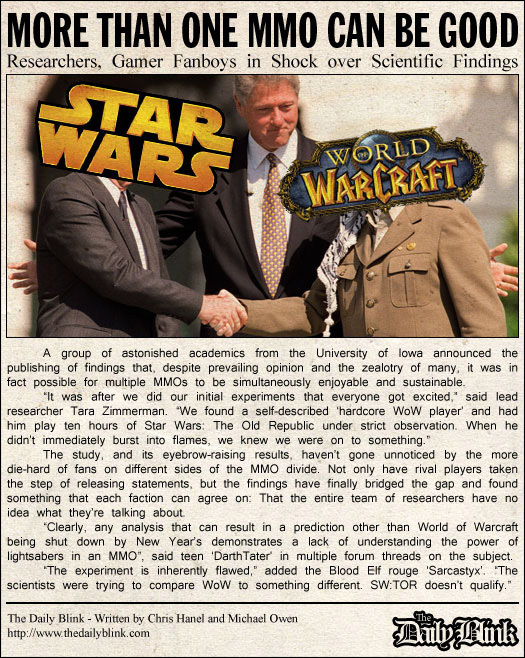 This will be lead into an online discussion on WoW throughout the week and its use in education. Then next week, we are having a guest speaker who will speak on their use of WoW in K-12 Education.